1. If you don’t need it, shut it off. While this sounds simple on the surface, it can be fairly complex and requires energy managers to know their buildings very well. Do you really need two chilled water pumps/hot water pumps/boilers/chillers online all the time? In many buildings, multiple pieces of equipment are placed in parallel, and then run at a very low percentage of capacity. Building managers want multiple sets of equipment running in parallel “just in case” something breaks down, so they can avoid angry calls from tenants. An example of this would be to bring your spouse’s POV to work and leave both running all day, 24/7 just in case yours failed to start for the ride home one day. That sounds silly and it is. The difference in this scenario is that you can see both vehicles running in the parking lot and you also pay the gas and maintenance bills for your own POVs. Many times building occupants have no idea what is going on in their building’s mechanical room, only that they are comfortable or they aren’t. Ask your facility manager to take you on a tour of your mechanical spaces and explain to you what is going on. A well-informed customer is absolutely the best tool an energy manager could ask for. When I share this ECM (energy conservation measure) with building occupants, most of them immediately think of reducing space thermostat setpoints. While space setpoints can produce limited savings, (68F in winter and 78F in summer) this particular ECM is primarily concentrated on the working fluids in your building (chilled water and heating water). We often see heating and cooling working fluid temperatures so great that they “fight” each other. Buildings regularly overcool, then require lots of heating/reheating to compensate for the overcooling. I make an analogy of setting your vehicle cruise control to 125 mph, then applying the emergency brake to maintain 55 mph. You would never think of operating your vehicle this way, but it is a routine practice in buildings and ships. Don’t assume that the existing chill water and hot water setpoints are where they need to be. Experiment with changing the temperatures of your working fluids. Especially in the “shoulder months” of the fall and spring, there is an excellent chance that very little heating or cooling is actually required. As a general rule, most commercial buildings generate heat. If you can avoid overcooling, there is usually little need for reheating. Ask your facility manager if “outside air resets” are available for your building. If so, request to see those setpoints. (Outside air resets change the working fluid temperatures based on outside air temperature.) Chilled water supply temperatures are ordinarily 42F-45F year-round. If there is snow on the ground, there is a good chance that 42F chilled water is unnecessary. Try raising that temperature a few degrees a week. Go from 42F to 44F and see what happens. Probably nothing. The next week try 45F or 46F and check again. You and the facility manager may be pleasantly surprised that a chilled water setpoint of 50F (especially during shoulder and winter months) works very well. Conversely 160F-180F heating water is often much too warm. I initially set heating water temperature to around 105F for most of the year, and let it rise to around 140F in the coldest winter months. Your building will vary. This is a “no-cost” ECM, and it works exceedingly well. It also brings you closer to your facility person and opens his or her eyes to possibilities in other buildings. This is a simple ECM and refers to variable frequency drives (VFDs) also called “speed drives” or simply “drives.” VFDs change the speed of fans and pumps based on an outside signal. The most common VFD is on a building air handling unit (AHU). They are usually on a wall close to each air handler. They are mostly rectangular and white, with a small LCD indicator panel on the front that shows a frequency between ~15 Hz and 60 Hz. Help your facilities personnel know what to look for in your buildings. Once you get a building squared away and it’s not wasting so much energy, it will tend to “drift” back towards inefficiency unless someone stays on top of the maintenance. It is quite common to work on a facility, get it dialed in, then come back a year or so later and find the building has reverted to its previous inefficient ways. That is our fault for failing to create a condition of sustainability. It all comes down to training the people on the deck plates so that they understand how the systems should work, and then making sure that knowledge is passed on to their successors. This is my somewhat biased view of energy awareness. It is very specific to a building or system. This is ABSOLUTELY THE LAST ITEM YOU SHOULD ATTEMPT! Capital funds in all organizations are constrained. If you want to make the best use of scarce funds, “tune up” your buildings first, then train maintenance staff to keep the buildings working properly. Only when the buildings are in the most efficient state possible should you even contemplate the last step of an energy project—especially one requiring financing. That’s because if you have done a good job tuning up your buildings, you will find that a financed energy project won’t meet minimum payback periods. This is not a bad thing! If you do decide to pursue a financed energy project, spend a substantial amount of time data- logging and sub-metering your major equipment upfront. This includes chillers, boilers/steam heaters, domestic hot water (DHW) systems, supply and return delta Ts, and outside air temperatures/humidity. If you do this, you will get a very clear picture of how your building systems work, and you will know if the energy project you initiated produced savings or not. Energy consumption before and after is the true test of how well a project works. Spending money on M&V (measurement and verification) only after a project has been completed is a lot like sending in a group of military personnel after the battle to determine if your artillery barrage hit any targets. It is much better to do legwork upfront by data-logging (recon) in advance, finding out where the bad guys are, and then doing a targeted strike. 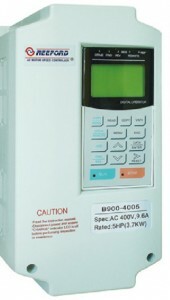 By data-logging and sub-metering (re-conning your buildings) you will learn your systems well. You’ll find out where the big energy consuming equipment is, which will also put you in a better position to determine if proposed energy conservation measures make sense. Information is power! Gather as much as possible before you enter into any energy projects. One of the best things about low cost/no cost ECMs is that you don’t need to wait years for your capital funding process to approve a project. If you are an energy manager and your job is to reduce consumption, the best place for you to be is out in your buildings and mechanical spaces looking for items that don’t need to be on or are running inefficiently. “Low hanging fruit” grows continuously in buildings around the world. These five tips will help you save a significant amount of energy without a lot of risk or money. This article was posted on Thursday, November 15th, 2012 at 3:15 pm and is filed under Energetically Speaking, Latest News. Both comments and pings are currently closed.